What does the “Exam expires” option do for a Skill Exam? 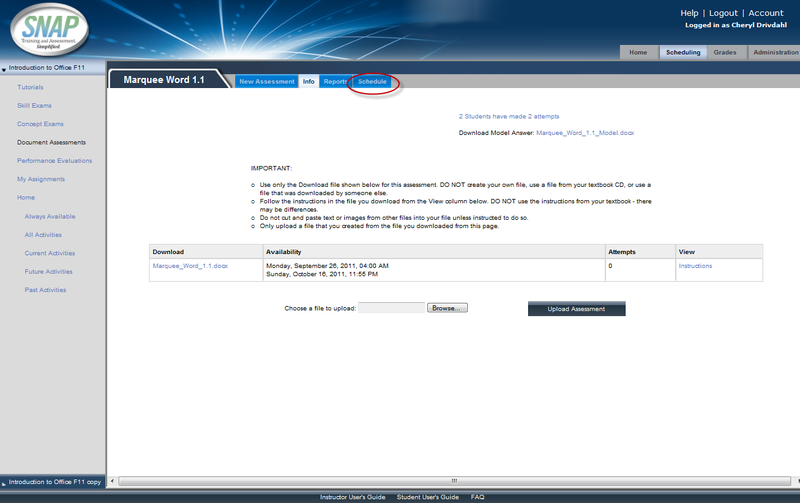 If the “Exam expires” checkbox is checked, the Exam expires option will force the termination of a skill exam when the close date and time have been reached. This will override the exam time limit if a student begins an exam with less time available to finish the exam. 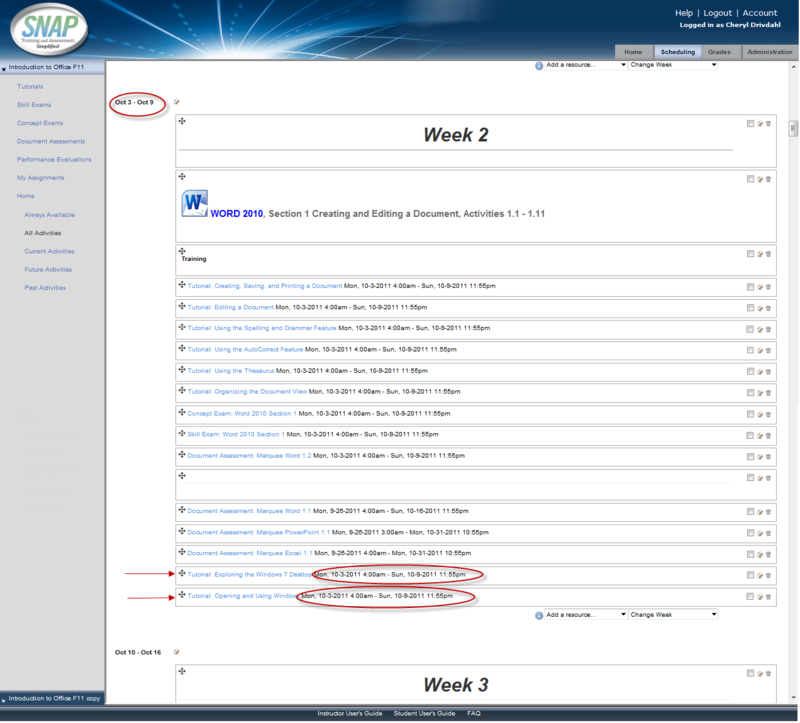 Work up to that point is saved and graded. Can I delete Exam attempts? Instructors are able to delete exam attempts. 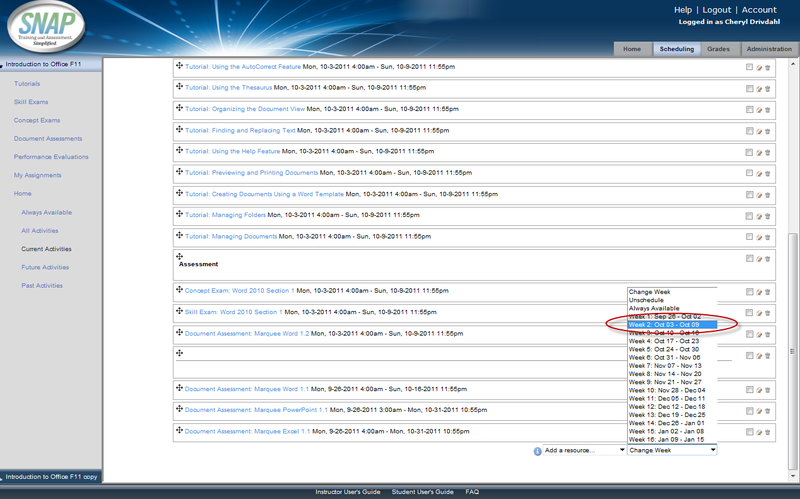 On the “Reports” tab for any Exam, you can check the box in the far-right column, and then change the drop down labeled “With Selected” at the bottom of the page, to “Delete.” This will delete all exam attempts that you have selected for that exam. Can I print a Concept Exam? 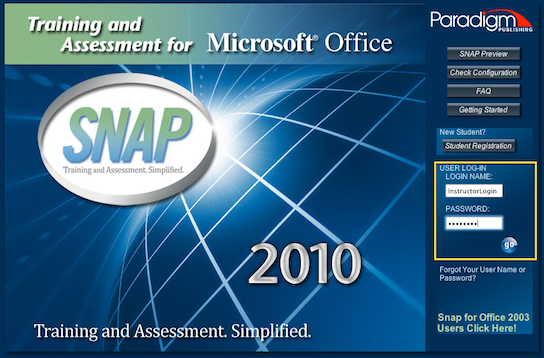 SNAP 2010 is designed to be completely paperless, and therefore the functionality to print Concept Exams is not available. 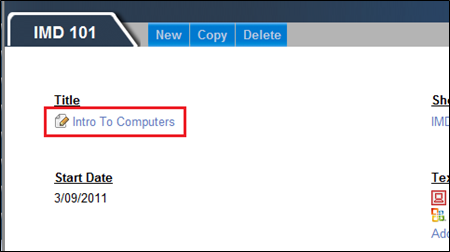 You could print the exam exactly as it appears in the web browser, one page at a time, if you choose. 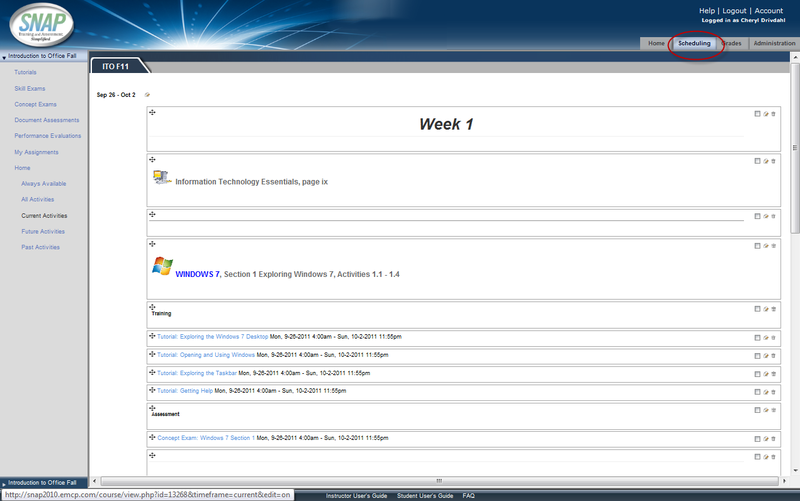 Most Instructors choose to use ExamView to print paper exams. 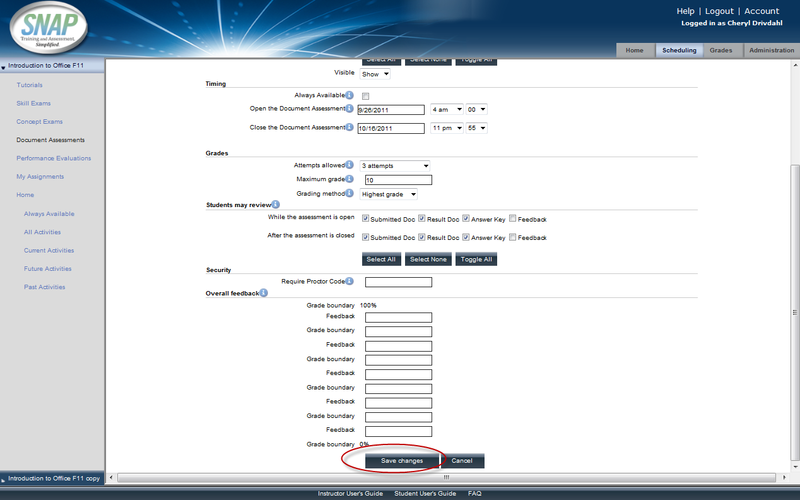 If you would like a copy of ExamView (test banks included), please contact your Local Account Manager. Can I delete Document Assessment attempts? 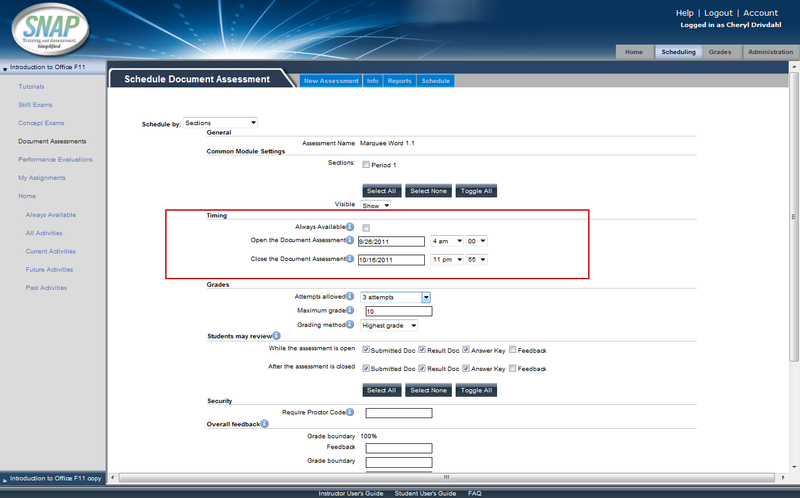 Document assessment attempts can not be deleted. 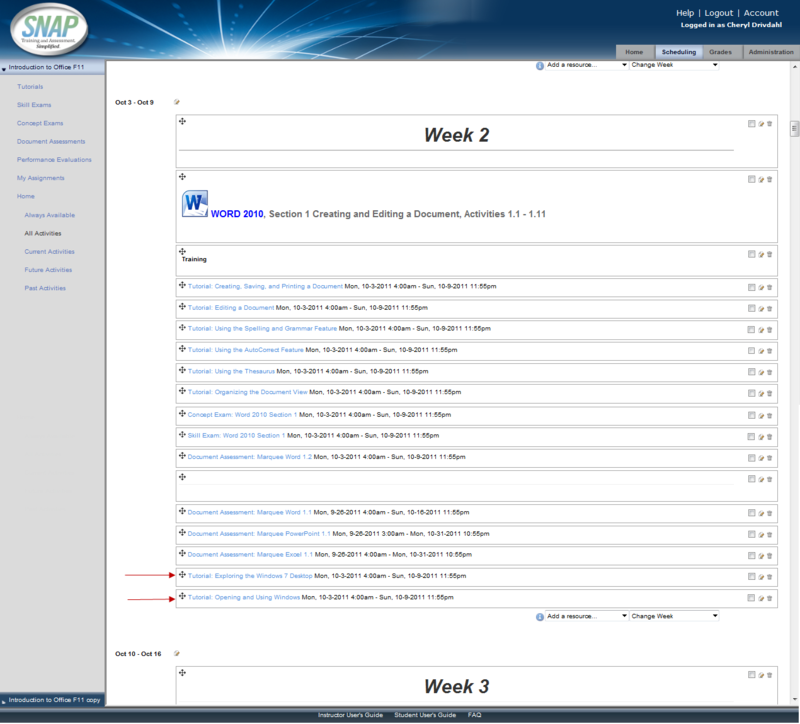 Some items or assignments won’t show up in my gradebook. Why? 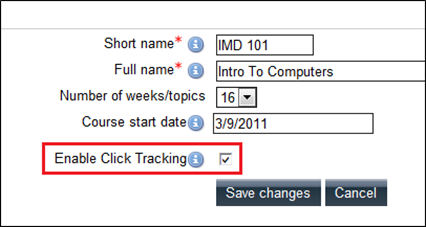 For an item to appear in the grade book, it must be scheduled (for a date range or always available) and set to a grading method other than Practice. Please double check to make sure your items are scheduled this way. To move a student from one section to another, follow these steps. How do I schedule a survey for a 2 week period or longer? Does SNAP work on a Macintosh? 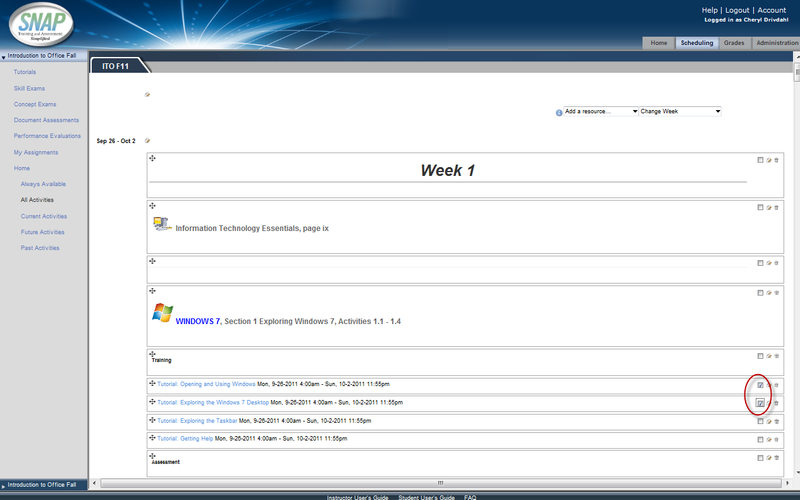 Snap does not work in the Macintosh OSX Operating system, but it will work on a Macintosh computer if Windows is installed on a Mac using bootcamp.